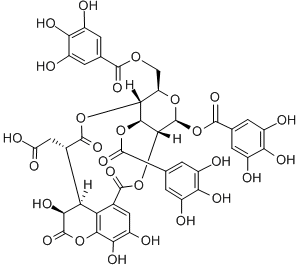 Concanamycin A is a specific inhibitor of V-type (vacuolar) H+-ATPase that displays > 2000-fold selectivity over other H+-ATPases (IC50 values are 9.2, > 20000, > 20000 and > 20000 nM for yeast V-type, F-type, P-type H+-ATPases and porcine P-type Na+,K+-ATPase respectively). 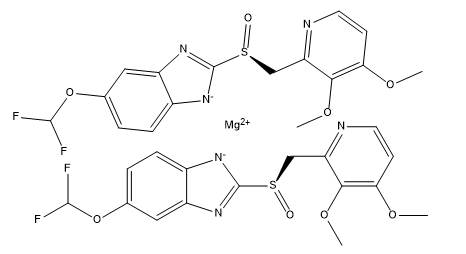 Omeprazole sulfide is a metabolite of Omeprazole, which is a proton pump inhibitor. Bedakillin acts on the proton pump of the ATP-synthase enzyme , which is a different mechanism of action than for quinolones targeting DNA-gyrase . Vonoprazan is a novel P-CAB (potassium-competitive acid blocker) that reversibly inhibits H+/K+, ATPase with IC50 of 19 nM (pH 6.5), controls gastric acid secretion. Vonoprazan is a novel P-CAB (potassium-competitive acid blocker) that reversibly inhibits H+/K+ ATPase with IC50 of 19 nM (pH 6.5), controls gastric acid secretion. Tenatoprazole, also known as TU-199, is a proton pump inhibitor drug candidate that was undergoing clinical testing as a potential treatment for reflux oesophagitis and peptic ulcer. Lansoprazole is a proton pump inhibitor which prevents the stomach from producing acid.